George William Cook lived in this house in Cairns with his father, William Joseph Cook, his mother, Eleanor(nee Bashford)Cook, his brother Francis Roy Cook (known as Roy) and his baby sister Winifred Ina Cook. The family is pictured on the front verandah. Roy on the landing, George on the steps. 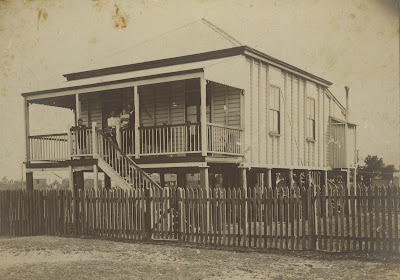 According to information supplied by Winifred Cook, the house was in Bunda Street, Cairns. At the time of the photo, it was the only house in the street. 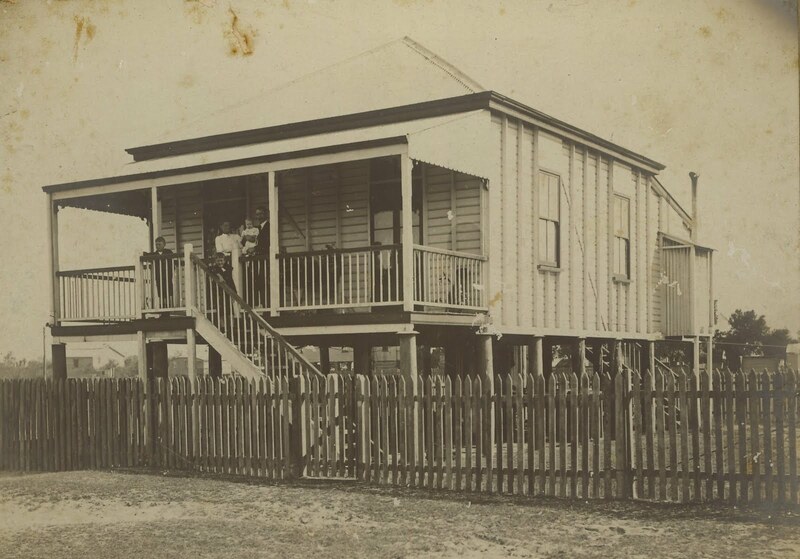 Some years after the Cook family left Cairns, the house was destroyed by a tropical cyclone. Winifred said the house was made entirely of Silky Oak right down to the toilet seat.